New release of our second edition for the updated 2019-2020 year! You asked. We delivered. This 90-day online access course was thoughtfully created by recent pharmacy graduates for recent, soon to be pharmacy graduates or even the seasoned pharmacist wanting to get licensed in the state of IL. Based off previous customer feedback, we spent months created this guide with no detail left unchecked. It is meant to be an extensive yet simple guide to pass your board exams easily. This course will save you from weeks of frustration and help focus on key points to study for the IL MPJE exam. 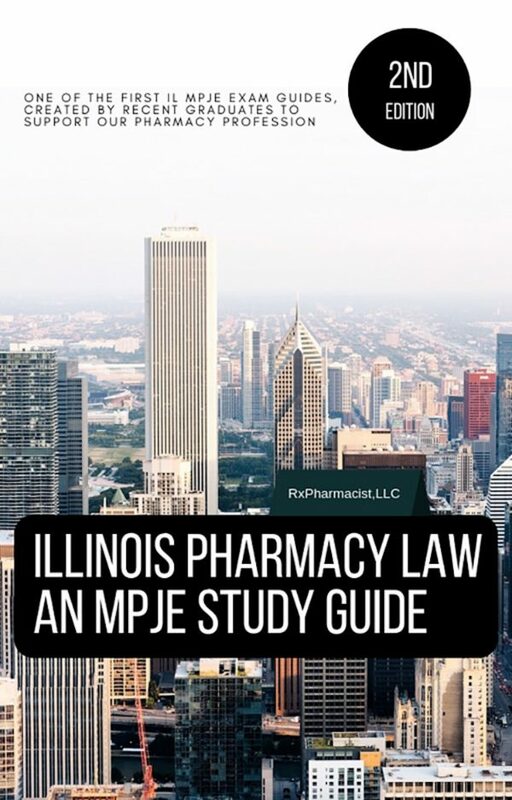 One of the most updated guides out there, we also include a mock 126-question IL state practice exam that highly mimics the actual IL MPJE so you can test your knowledge. In addition, we also include a 120-question federal practice exam. That’s over 240 practice questions! Lastly, there are 30 bonus questions testing you for the IL MPJE. Want more guides or need more help? Visit us at www.rxpharmacist.com. Categories: Courses, Online courses. Tags: IL, IL MPJE, Illinois, Illinois MPJE.